Robert Loftus Construction Inc. is a residential builder and full service General Contractor. The company has been building custom homes and performing renovations in southern Orange County coastal communities for eleven years. Tear downs/ new homes have been the best choice for some of our clients, while others choose complete remodels and expansions of their existing homes. Our focus is to be a consistent and reliable contractor providing quality construction services, on time and within budget no matter what the size or complexity. Robert Loftus Construction Inc. is a full service General Contracting Company providing general contracting, construction management and project planning/ consulting services. Licensed as a General Contractor since 1992 and incorporated in 2002, our focus is to be a consistent and reliable contractor providing quality construction services to our clients. We have a wealth of experience managing and building industrial/ educational facilities and are a family-owned, small business enterprise. Customer satisfaction is above all else and that satisfaction is defined by providing quality construction, completing projects in a timely manner, performing within budget and fulfilling the clients expectations. In addition to our mission of customer satisfaction, RLC is committed to “Green Construction”, working with clients to incorporate sustainable materials wherever possible and utilizing energy-efficient products to reduce their energy dependence. We are committed to Recycling and Reusing as much construction waste and bi-products as possible by physically separating and hauling waste and re-useable materials to recycling facilities. Our goal is to recycle 85% of all waste generated on a project. Feel free to reach out to us, we would love to hear from you! General, or construction contractors, are often known as project managers. They oversee the entire remodeling or new home construction project and facilitate all day-to-day tasks that move it toward completion. A Laguna Hills general building contractor will work with your architect to review plan as you build a house and ensure everything is in place before work is started as well as arrange for permits and necessary inspections. While good local home improvement contractors in Laguna Hills will have the skills to handle certain tasks onsite, such as carpentry, he or she is also responsible for hiring subcontractors for the majority of jobs, such as electrical work, painting or plumbing. In addition, the general contractor should be on-site regularly to inspect the progress and resolve issues. Here are some related professionals and vendors to complement the work of general contractors: Architects & Building Designers, Interior Designers & Decorators, Landscape Architects & Landscape Designers, Kitchen & Bath Designers, Specialty Contractors. Home remodeling contractors are a must for successful completion of a renovation. Because of this, it's essential that you do your homework before deciding on the right general contractor in Laguna Hills as you remodel or build a house. Inspect bids carefully. Was it ready when the contractor promised it? Was the bid for building a home unusually high or low? Each of these things can be very telling: A late bid may reflect timing standards, and an off-the-mark bid could be code for a pricey premium or a deliberate underbid to score the remodeling job. You should call references, carefully read reviews and visit completed projects in Laguna Hills, CA to see if they’re what you expect for your job. Once you do secure your local Laguna Hills contractors, read the contract very carefully to be sure everyone is on the same page. 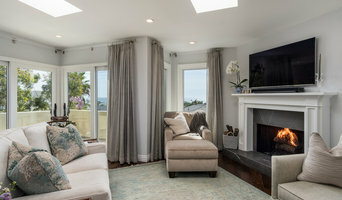 Find a Laguna Hills contractor on Houzz. 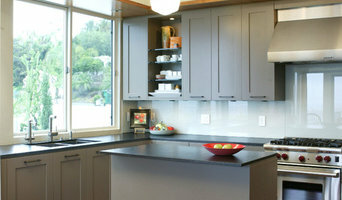 Narrow your search in the Professionals section of the website to Laguna Hills, CA home contractors. You can also search for photos in Laguna Hills, CA and contact the Laguna Hills general contractor who worked on the project.